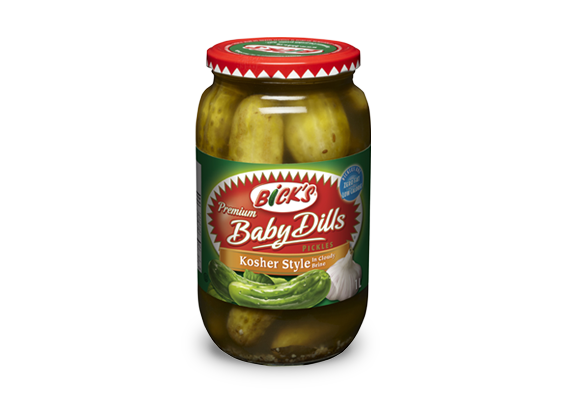 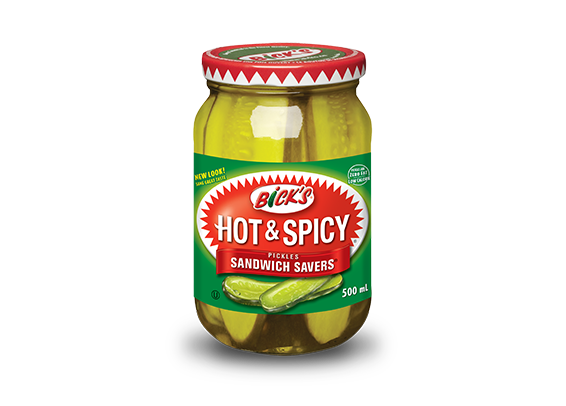 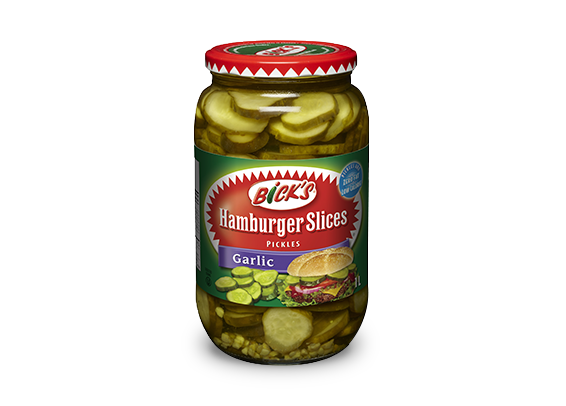 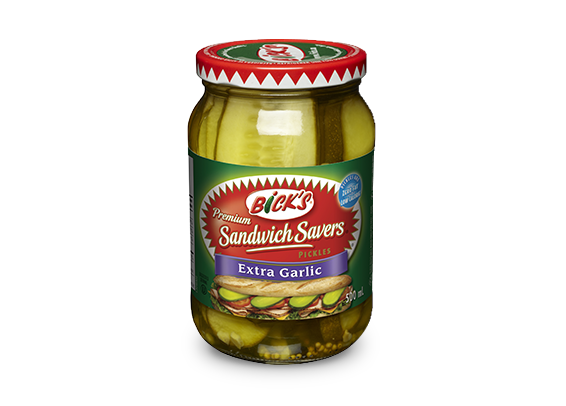 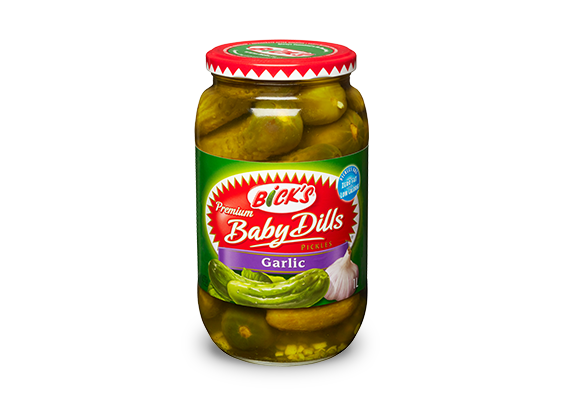 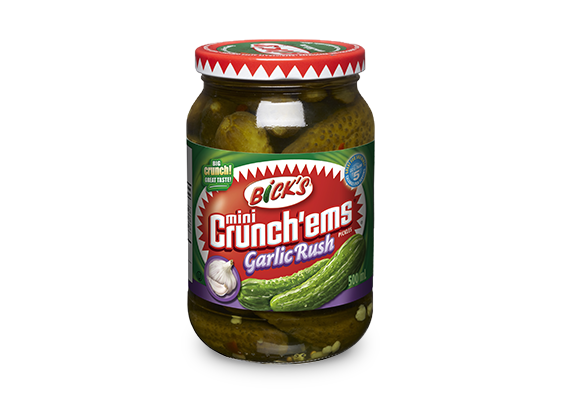 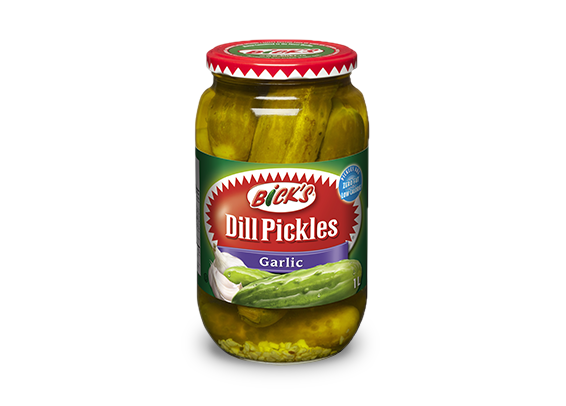 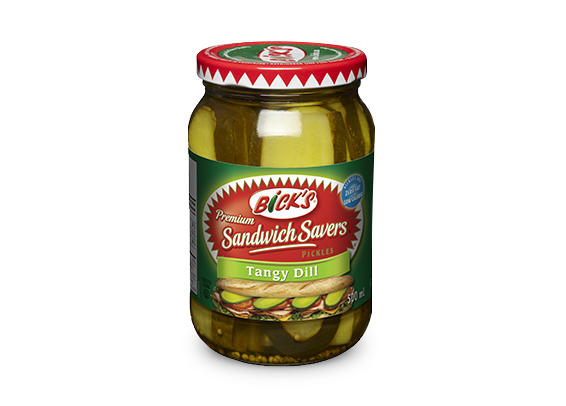 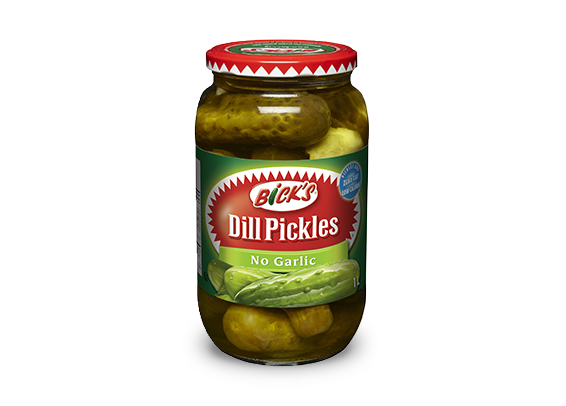 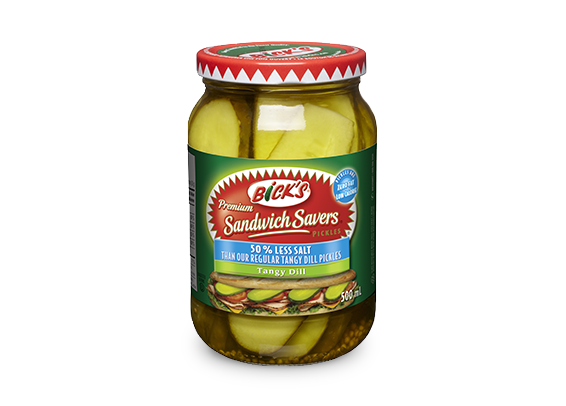 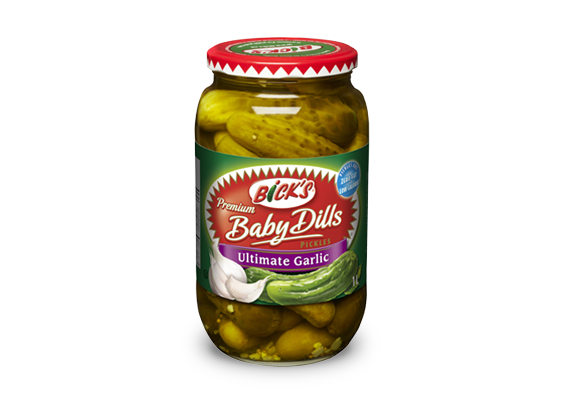 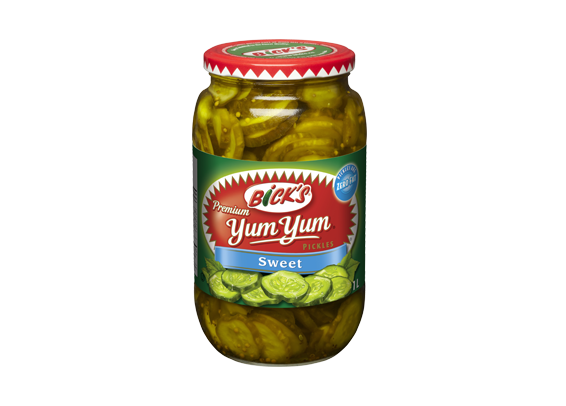 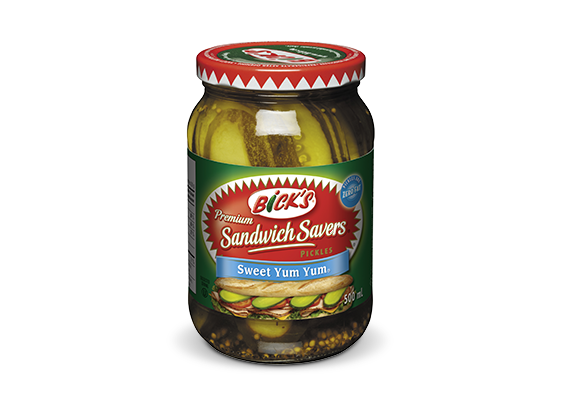 Bite size Bick’s Mini Crunch’ems Definitely Dill Pickles pack a powerful punch in a delicious snack size pickle. 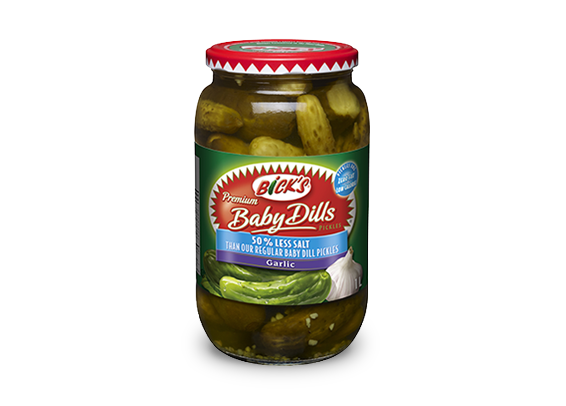 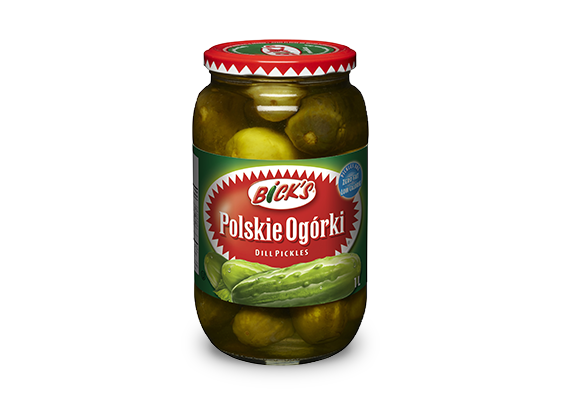 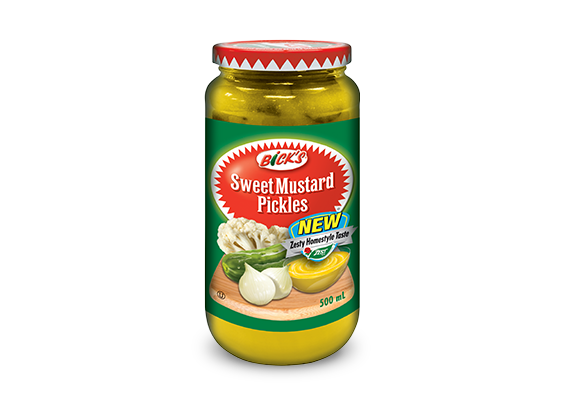 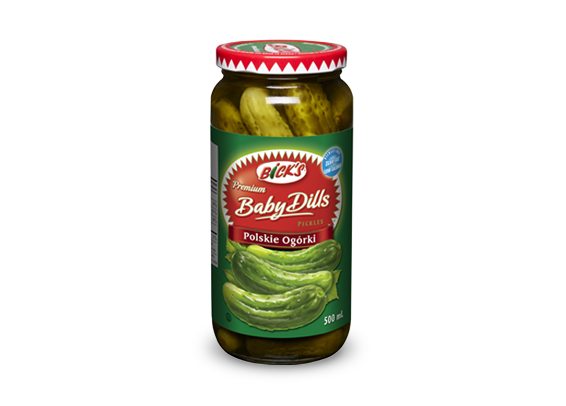 Low in calories and loaded with flavour, these mini pickles with the tangy dill taste you love, make it easy to get the crunch you crave at any time of the day! 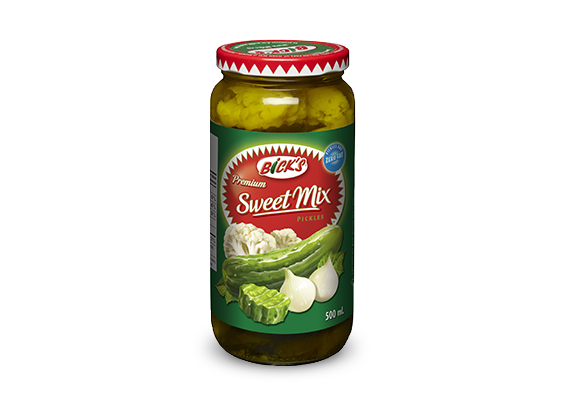 Cucumbers, Water, White Vinegar, Salt, Spices (Mustard) And Seasonings, Calcium Chloride, Polysorbate 80, Sulphites.